You may assume that if you are injured on the job, you will receive workers’ compensation benefits to cover your medical treatment and replace your lost wages. 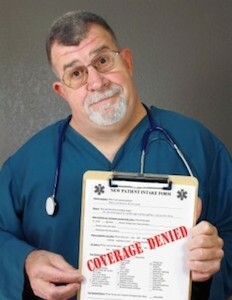 But what happens if your claim for benefits is denied? You have a right to appeal that denial. However, it is harder to have a claim approved at each step up the appeals ladder. The first step in filing a claim is to report the injury to the Georgia State Board of Workers’ Compensation by completing and filing a WC-14. A copy of the WC-14 is sent to your employer and your employer’s insurance carrier. Shortly thereafter, you will receive a notice from your employer’s workers’ compensation insurance carrier approving or denying your claim. If your claim is approved, benefits should begin on day eight. If your claim is denied, you have the right to request a hearing in front of an administrative law judge. Although the hearing is less formal than a trial, it is critical to present a strong case. While there is no requirement that you obtain legal representation at this stage, the board encourages injured workers to do so because of the complexity of workers’ compensation laws and proceedings. If the administrative law judge denies your benefits, you can appeal the denial to a higher authority. The next stop in the appeal process is the Appellate Division of the State Board of Workers’ Compensation. The appeal must be filed within 20 days after the administrative law judge’s decision. The three-member board that makes up the Appellate Division will review the record from the hearing. In addition, your attorney may file briefs and request oral arguments. At this level, no new evidence is admitted. Instead, the board reviews the record and briefs and either agrees or disagrees with the decision of the administrative law judge. Appellate bodies typically give great deference to lower court decisions because they feel the lower court was in a better position to judge the credibility of witnesses and review evidence. Therefore, an administrative law judge’s ruling will typically be overturned only if a clear error was made. If the Appellate Division affirms the administrative law judge’s ruling, you then have 20 days to appeal to Georgia Superior Court. A record of the proceedings, briefs, and oral arguments will be used by the court to make a decision. If the Superior Court decision is not in your favor, you then have 20 days to appeal to the Georgia Court of Appeals. The odds of having a decision reversed after your claim passes the administrative law judge’s hearing get slimmer at each stage of the appeals process. For this reason, it is best to consult with an experienced Georgia workers’ compensation attorney as soon as you realize you have a claim.